At the risk of tempting fate — because as more than one person has noted, many a captain has been hailed as a hero on Sunday only to be hung out to dry on Monday — it looks like Cactus 1549 was one of those rare cases where an airliner gets totaled and the flight crew’s careers don’t. Hundreds of articles have already been written about this incident — some by people who actually know what they’re talking about. So I’d like to focus on two things which really piqued my curiosity. Glider Training: Did It Make a Difference? Much has been made of the Captain Chesley Sullenberger’s years of experience in the cockpit, but one thing on his resume stands out: he holds a commercial glider rating. Not only that, but according to the FAA Airmen Registry, he is also a rated glider instructor. Glider pilots are intimately familiar with the concept of “speed-to-fly”, something power pilots never concern themselves with. But perhaps they should. For you power pilots out there, speed-to-fly can best be thought of as a variable “best glide” speed which varies depending on the kind of performance you are seeking. Do you want to stay in the air as long as possible? They your speed-to-fly is the “minimum sink” speed. Want to extract maximum energy from rising air? They you want to fly the “best L/D” speed. Power pilots are taught that when the powerplant(s) fail and the aircraft becomes a glider, they must immediately fly a predetermined speed which results in the best possible lift-to-drag (L/D) ratio. This is often referred to as the “best glide” speed and is notated as Vg. The problem is, a fixed Vg speed isn’t always going to extract maximum performance from the aircraft in a power-off situation. An example: assume an aircraft has a Vg speed to 70 knots. But let’s say it’s also flying into a 70 knot headwind. The resulting groundspeed is zero knots. The glide ratio at “best glide” speed is literally zero in this case. In the heat of battle, a power pilot wouldn’t likely notice this, especially at altitude. But a glider pilot would instantly recognize the need to increase the indicated airspeed by 50%, giving a ground speed of about 35 knots. Now this might not produce a spectacular glide ratio, but it’d certainly be a hell of a lot better than zero. Glider gurus account for the effect of wind on a powerless aircraft in other situations, too. A good example of how this might save your bacon can be illustrated by considering an overwater flight from Long Beach to Catalina Island. Many pilots I’ve trained simply look at the geographic mid-point as the place where, in the event of an engine failure, they’d opt to go toward one place or the other. If the distance between Long Beach and Catalina is 40 miles, they’d turn around until their GPS said 20 nm. After that point they’d continue toward Catalina. 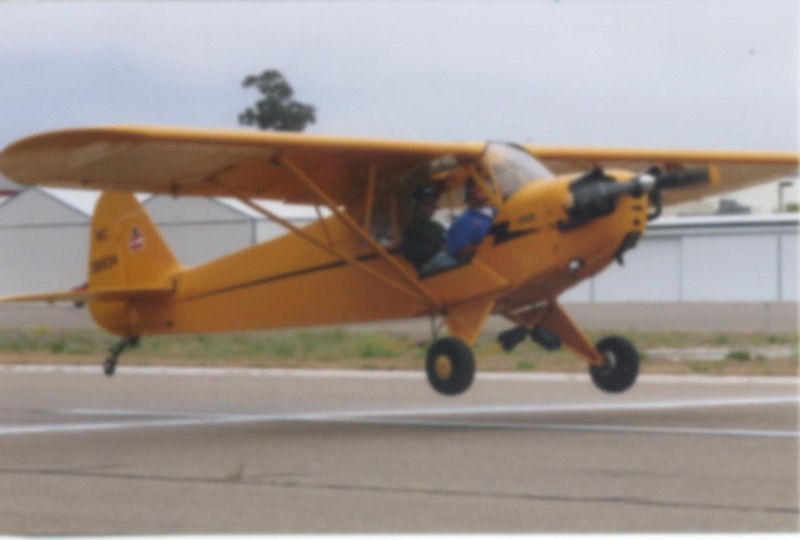 A glider pilot, on the other hand, would have already considered the winds aloft (both forecast and actual), the altitude burned during a 180 degree turn, as well as the terrain on Catalina Island (inhospitable to say the least) as well as the off-airport landing options on the mainland. Glider pilots also become familiar with what we call “look down” angles. Just by looking out the window, we can tell if we’ll make it to a specific point at our current sink rate. Power pilots do this as well, but usually only on final approach and not always power-off. Did Captain Sullenberger’s glider experience make the difference in this case? Did it even help? Perhaps not. As I recall, the elapsed time from liftoff to touchdown was only 3 minutes. But his glider experience certainly didn’t hurt. And it may have assisted him in ways even he is not fully cognizant of. When an emergency presents itself to a flight crew, they tend to fall back on their training and experience. The most surprising thing about multi-engine training is that it doesn’t really consider the possibility of multi-engine failure. Think about it: most multi-engine aircraft don’t even have a Vg speed listed in the Approved Flight Manual. Most type rating programs, even those for airlines, don’t include all-engines-out scenarios. Thousands of Boeings and Airbuses are flying around with flight crews who don’t even know what the best glide speed for their aircraft is. a British Airways 747 lost all 4 engines after encountering volcanic ash. Engines were restarted at lower altitude. Major engine damage. a KLM 747 lost all engines after encountering another ash cloud. Same result. an Air Canada 767 ran out of fuel after a conversion error while fueling. Landed on a closed runway. a Pinnacle CRJ lost both engines after the flight crew exceeded the aircraft’s limitations. Engines core-locked and plane crashed. an Air Transat Airbus A330 lost both engines after a fuel leak. Landed safely on an island. an Ethiopian Airlines 767 was hijacked and forced to an alternate destination without sufficient fuel to fly that far. Crashed in the water. A more complete list of unpowered jet airliner accidents is available here. Keep in mind, that list does not include the many turboprops, bizjets, military aircraft, and other planes which have lost all engines in flight. There are so many ways this can happen: fuel contamination, fuel leak , fuel mismanagement, mechanical failure, sabotage, pilot error, bird strikes, hijacking, and the list goes on. It’s baffles my mind that these scenarios aren’t considered during every multi-engine training program. At Dynamic, we fly out of a large military base here in Southern California which also happens to be home to some of the last undeveloped land in the area. As a result, there are a lot of birds around, and bird strikes on our King Airs are fairly common. More than once I’ve been taxiing out in the morning only to find thousands of large geese wandering all over the field. Thus far I’ve yet to encounter one in flight, but this US Airways accident is a reminder that it’s a possibility with every takeoff and landing. Captain Sullenberger of US Airways charged with goose poaching! Great points. I’m sure there are all sorts of lessons to be learned from this disaster diverted however I hadn’t thought of the that deficiency in multi-engine training (never having been ME trained…). BTW – Like the new look of your blog!